She's held the position for more than one year now, but this is the first time we've ran across of Ashley Horvat's name, the nation's first-ever public-sector Chief Electric Vehicle Officer. "The unique position was created within the Oregon Department of Transportation (ODOT) to promote the sale and use of electric vehicles (EVs) in the state, a position Horvat took after the governor’s office determined the work she was doing in that space was crucial enough to warrant a dedicated, long-term position." GovTech says that Horvat's duties include working on programs in Oregon and collaborating with "departments of transportation around the country to achieve the long-term goal of putting 3.3 million zero-emission vehicles on the road by 2025." "For the last few years, Horvat has worked on EV projects to help support Oregon’s broader economic development strategy." 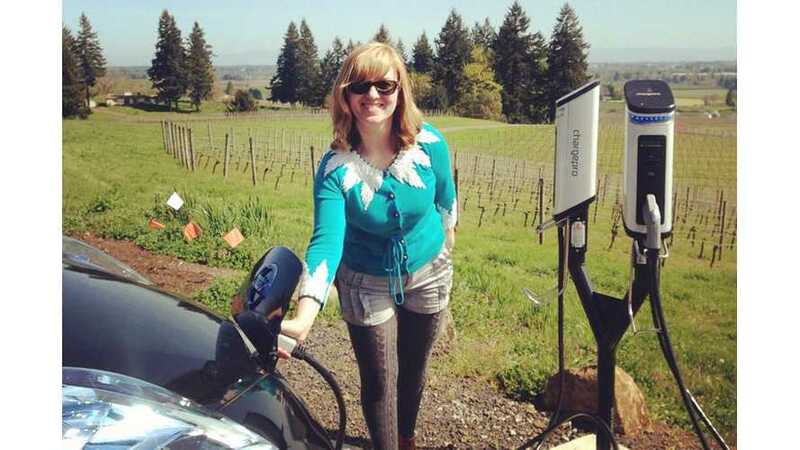 "Horvat began her work at ODOT leading Oregon’s piece of the West Coast Electric Highway program, a cooperation between California, Oregon and Washington states." Horvat also conceived the EV Ambassadors program, not yet launched, which is intended to provide prospective first-time EV buyers with an additional information resource." Horvat co-chairs the Energize Oregon Coalition, through which the state has built partnerships with nearly 100 organizations, including Honda, Toyota and Nissan." According to Horvat, her position will likely be temporary. Today, her role is to promote electric vehicles. Tomorrow (or at some point in the near future), private industry will assume her role. Props to Horvat for being the nation's only chief electric vehicle officer and to the state of Oregon for realizing the need to create such a position.